Over 3 years later, résumé & my next "adventure"
Yes, there's a new post. I can't believe it myself. I always wanted to do a post where I looked back at my experience after a little while and tell you if I would recommend it. I really don't know why I never came around doing that. I remember that the first weeks back in Germany were horrible for me. 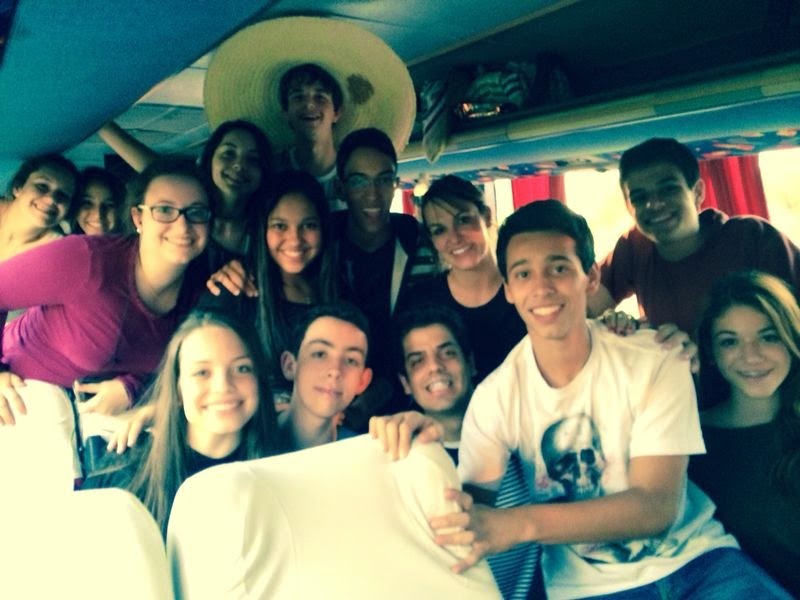 I missed Brazil, my host family, my friends, the food, even school and just everything. I cried myself to sleep every night and did nearly nothing as I didn't have to go to school. In retrospect I really regret that I didn't have any plans for the time after my exchange. As it was, it all felt a lot like a dream and sometimes like I wasn't really away. At home things changed but they still felt the same. The just couldn't display the changes that had happened within me. 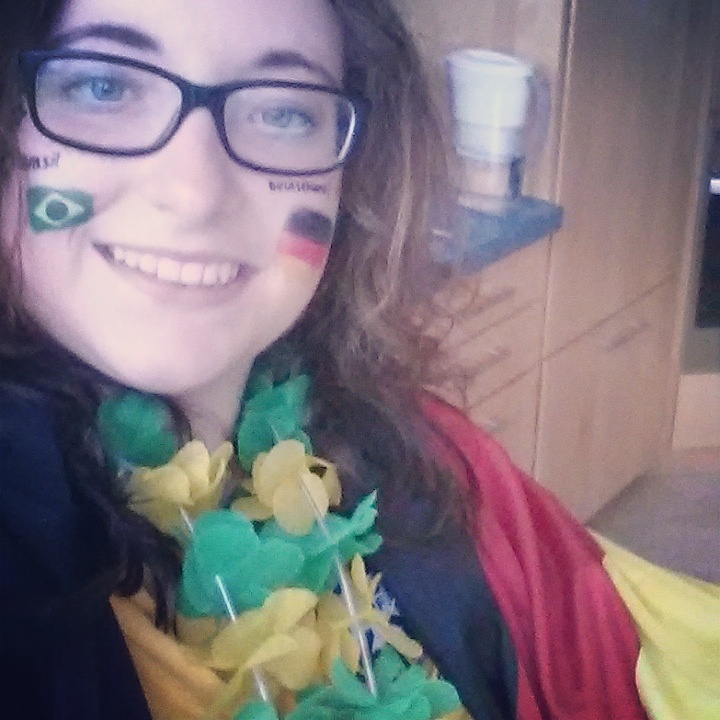 The best thing was that the World Cup had begun shortly after my return to Germany. However what really helped me to improve my condition was going to the One Direction concert in Düsseldorf alone. I spoke to strangers and realized that I had really changed, that I had become more self-confident and open. I got in contact with other quickly and made some new friends (also some that disappointed me later, but that's a different story). After that I was ok but I don't remember what I did all summer aside from watching football games. As you can imagine, the game Brazil vs. Germany was especially entertaining and also quite hard for me because I rooted for both teams. Germany becoming world champion was of course nice. At the end of August I began an internship at the nursery school my mum works at because even though relaxing is nice and everything, at some point you just need to do something to get back into a routine. In September I started a new school and the next three years were quite exhausting but at the same time successful and totally the best school years of my life (aside from PE, I hated these lessons!). In June 2017 I graduated and I already have a acceptance for university for a Bachelor in "International Management". The great thing about that is, that the degree course is a double degree which means I'll study two years in Reutlingen and then two years in São Paulo, so: I WILL COME BACK TO BRAZIL! I really miss the country and everything about it (aside from the food: I'm a vegetarian now). I got accepted into another university program (International Relations in Erfurt) but even though people who now me personally now that this is the course I've always wanted to do, I urge to have the opportunity to go back to Brazil is stronger at the moment. There's still a small chance my plans will change in the upcoming months, but at the moment I can't imagine that. 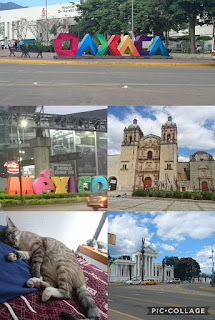 I visited Brazil again in 2015 together with my mum but that was the last time and my plans to go back after my graduation got cancelled as I'm doing a voluntary service in Mexico now (follow my journey here). 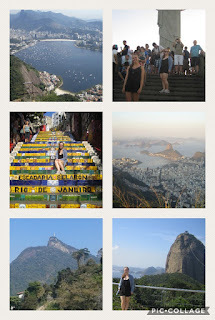 In 2015 we flew to Rio de Janeiro first (via Lisbon and São Paulo, quite a long trip), spent a few days there and then went to Varginha by bus (horrible memories, who would have thought it was such a twisting route?) to visit my host family. My mum went home earlier and stayed for a few more days and it wasn't nearly long enough. So I really can't wait to go back for a longer span of time (two years should be enough :D). My spoken Portuguese has unfortunately became quite bad as I always mix it with Spanish nowadays and I just haven't used it since 2015 apart from a holiday trip to Portugal. However I can still understand it in both written and spoken form and my writing is also acceptable as I'm still in (irregular) contact with my host family and some of my Brazilian friends. So now to another important part, my résumé: Would I advise other young people to do an exchange year? YES, YES, and again YES! It was the best experience in my life up until now and I wouldn't be who I am today without it. I learned so much about life, myself and of course Brazil. I made some really great friends that I miss a lot. I found a second family and feel that I can always go back to. Yes I struggled in the first months because I didn't get along with my first host mother and there are something I would to different today and I regret some things (mostly things I didn't do and not taking enough photos). But especially the second half of my years was amazing and even the way happened, I would always do it again. So to everyone: if you get the chance to be an exchange student, DO IT! The country doesn't matter, even though I strongly recommend Latin America and first and foremost Brazil (but honestly: I'm biased). If you're to old to be an high school exchange student: take every other opportunity you get to spend a longer time abroad. Yes it won't always be easy but it is so worth it. I told in my last post that I wanted to talk about my returnee seminar with AFS but to be honest, I don't really remember much about it anymore. I also started to get involved as a volunteer for AFS but unfortunately school got in the way and I really didn't have enough time for it. In 2016/17 we hosted a girl from Mexico at our home and I got a little closer to the organization again even though I'm doing my voluntary service with someone else. Not remembering is also one of the things that still upsets me sometimes. It's been over three years since I returned to Germany and of course the memories are fading. I makes me sad but I now I can't really prevent it from happening. However I hope that at least some special moments and the general feeling of thinking of that time will always stay with me. I've gotten plans for a tattoo to help me with remembering for ages and I hope I'll get it done in the near future. Thank you everyone for following my journey and hope you'll follow me along for the next years again. I think this will be the last post here as everything about my exchange year seems to be said. If you have any questions you can of course contact me. It's already about 2 month since I arrived in Germany again, but I couldn't write anything before. Believe me that I tried, but how you see, it wasn't very succesful. The first time back in my home country was really difficult for me. 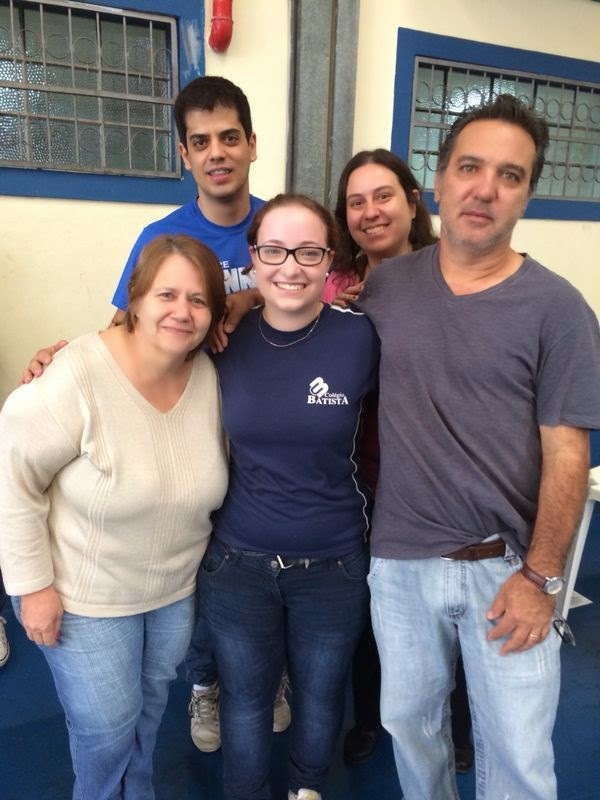 I missed Brasil, my host family and friends so much. If someone had paid the airplane for me, I would have gone back instantly. I tried to distract myself from this all day, but yet I spent the first nights crying before sleep. My other problem was that I felt that nothing and even worse I didn't change at all. I felt like this whole year has been for nothing and it made my feel so bad! 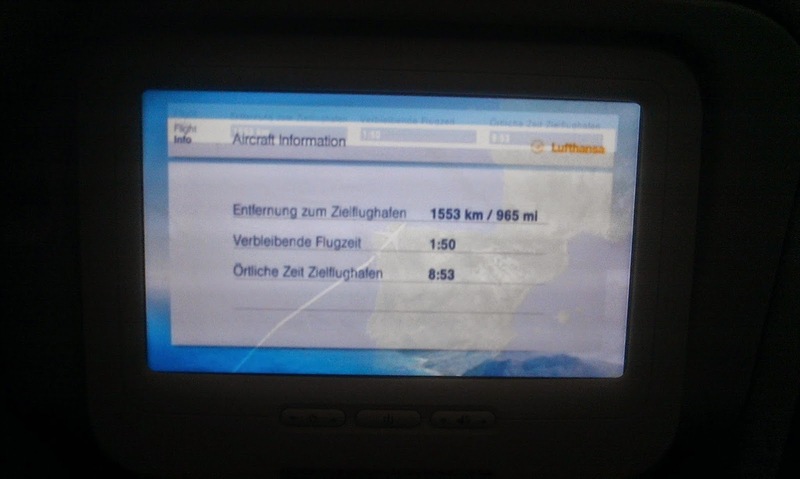 This changed after I've been to Düsseldorf for the One Direction concert. After that I knew that I changed a lot. Before Brasil I always had a bad feeling when I went somewhere alone and it was difficult for me to get in touch with other people or ask them for help. This changed a lot since then. Now I just casually talk to people and I'm good withd it. Because of this I got to meet lots of nice guys and made some new friends with which I want to keep in touch. Some this concert was a turning point for me and after that it got all better. I feel comfortable in Germany again and it's like I finally see the advantages of living here again now. Of course I still miss a lot of things, but I think this won't change anytime soon. But my family and I are planning to travel to Brasil next year, so I have something I'm really looking forward to. 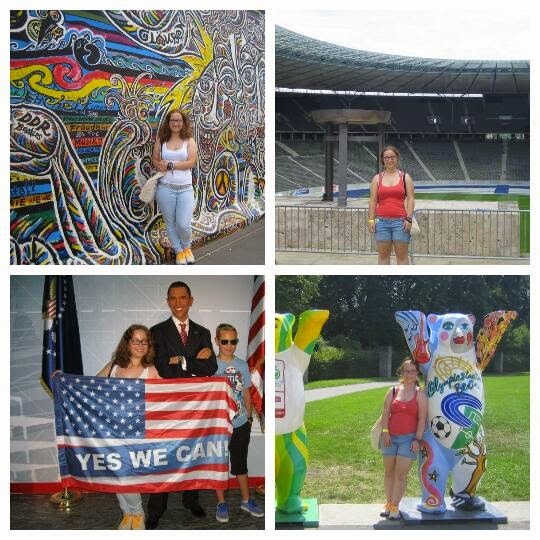 Last week I travelled to Berlin with my family. 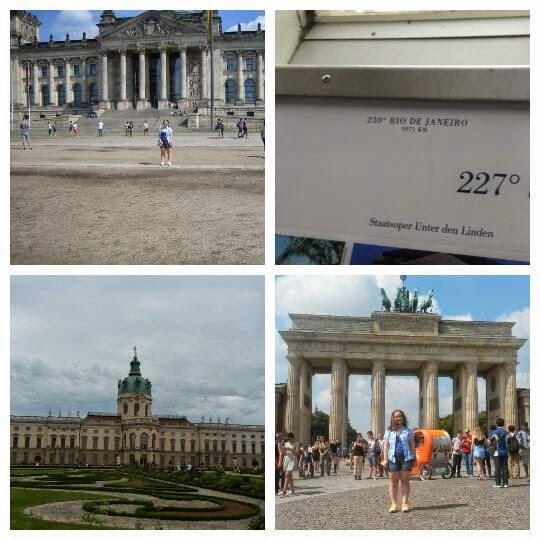 I was really intresting to visit the German capital as I've never been there before. Next week I'm going to do a placement at the nursery school where my mum is working. I think it will be a good experience and I'm preoccupied in the last weeks of my holidays. I wasn't in school since I arrived in Germany, because I'm on a leave for this school year and I'm going to repeat this year anyway. So I'm on holiday since more than 6 weeks and there are whole 7 ahead. With that said I can tell you that I'm really looking forward to the new year and meeting new people as I'm going to a new school after holidays. I think that's all I wanna tell you at the moment. I think there will be one more post after my AFS rework weekend and maybe a report about my experience and everything. THANK YOU / OBRIGADA / DANKE for over 17.000 views! I've never thought that a lot of people would be interested in my year and so I'm happily surprise by this number. Thanks to everyone who followed my experience here and I hoped you liked it and it was at least a little interesting. Translated into English the title means “Goodbyes, goodbyes and more goodbyes. And that’s the motto of this entry. So at the moment I’m sitting at Guarulhos airport and my flight back to Germany is living in about an hour. My last days were full of saying goodbye to people I learned to love in the last ten month. It was so hard for me and I still haven’t realized that I won’t see them again for an unknown time. I still went to school every day this week and on Tuesday they organized a little surprise party for me and the other Italian exchange student. I didn’t have a clue about it before, because they told me that the money the needed was for a farewell party for a teacher which is going away. Wednesday in the afternoon I meet with my friends for the last time and Thursday after school I had to say goodbye. It was a horrible and sad moment for me, but I didn’t really cry, because back then I haven’t really realized that it means I won’t see them again soon. This day at the evening all members of my host family came to our home and we had a little farewell party too. My family gave me a very sweet cuddle toy to me and my mum told that every time I see it I should think of them. And I’m sure I’ll do that. But even then I didn’t cry. I only started crying this morning when I had to say goodbye to my host mum, dad and my little sister. It was one of the saddest moments in my life. But I promised to everyone that I’ll come back and you can be sure, that it is coming to be true sooner than later. For the moment that’s all I wanna say. I’m going to write again when I’m back in Germany, but I don’t know when exactly. So yeah, maybe this will be the last entry from Brasil. If I get the time, I'll write again next week before me flight back to Germany. But don't expect it! 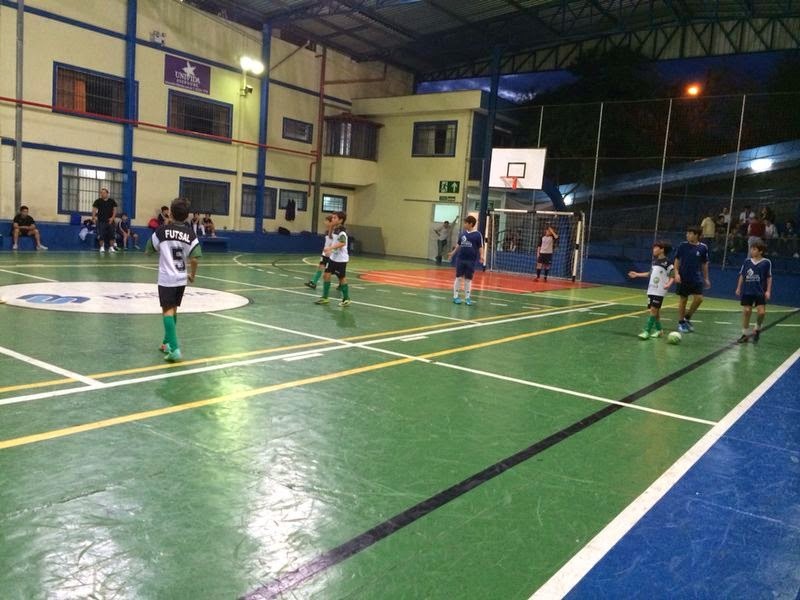 First I wanna tell you about my one-day-trip to Campinas which I've already mentioned in my last post. 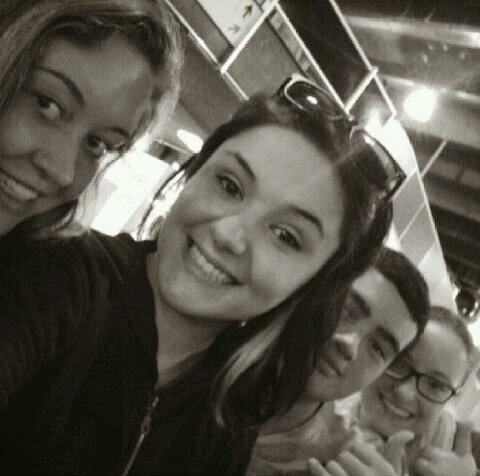 We met at the bus station at 3am, but only left it about an hour later (welcome to Brasil :D). On the three-hour drive I almost slept nearly the whole time. After arriving at the university called "Facamp", we first had breakfast and then went to our respective lectures. I'd chosen International Relations and it was very interesting. After it I was even surer, that it is exactly what I want to do after school. 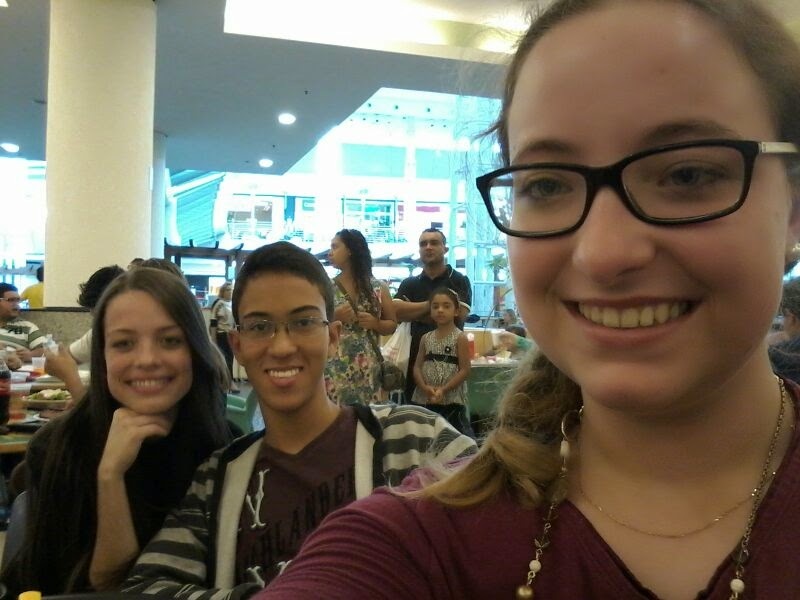 Later we went to the "Shopping Park Dom Pedro" to have lunch. Because all the tables were occupied my friends and I walked around a little first. After lunch we visited a place with lots of gambles and a little 4D-cinema too. We decided to try the last one, but it was only fun because my friends who sat in the first row screamed the whole time because of nothing. My last weekend has very busy. Saturday I went to two birthdays. The first one was a children's birthday party and later it was the birthday of one of my host dad friends. So I didn't go to bed early of course. Sunday I had to get up early because my host uncle's family took to a small town where my host mum's grandmother lives. It lies outside on the country side with nothing besides fields and animals. It was interesting to visit it and get to know new family members. 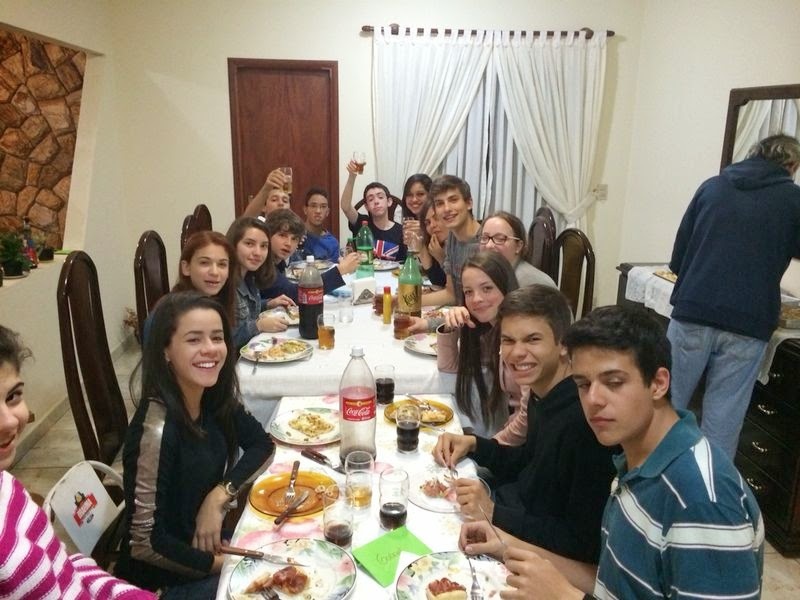 My Brazilian family is so big, even after 10 month I don't know everyone. 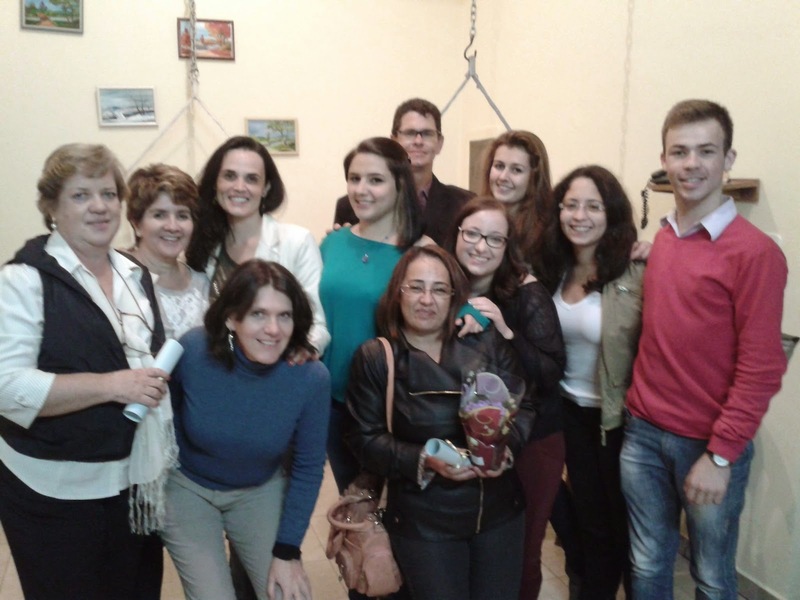 This Tuesday the AFS farewell-party took part. It was a nice evening and I liked to see everyone from my organization again. They did a lot to help while my exchange, so it was a good moment to thank them for that. I'm going to miss you all so much!! One of the best evenings I've ever had was yesterday. Almost all my friends came to together for my farewell celebration with them. It was a great and funny time. 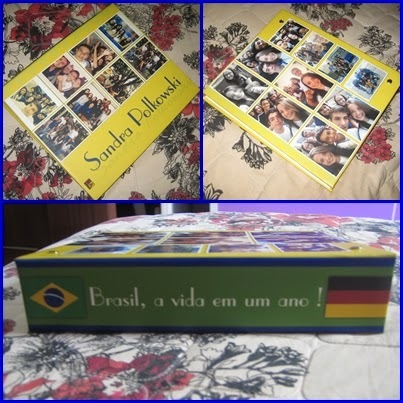 And I got really emotional when they gave me a photo album as a present. I can't thank them enough. And after yesterday I'm even surer that I won't find any better friends someday. If some of you read this: EU AMO VOCÊS!! The present - isn't it lovely? When I started to write this entry last week, there my last month here hasn't just started. Now it's already only about 3 weeks (where did the time go???). I still haven't realised what it means and I try not to think of it too often. I just wanna enjoy the last time with my host family and my friends before I won't see them again for an unknown time. Now to a lot more happier thing: Easter or "Páscoa" how they call it here. 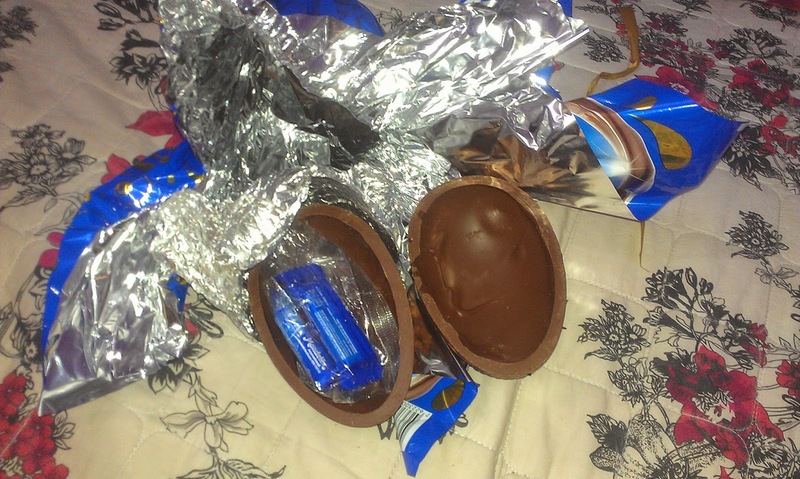 Like in Germany everyone gets sweets as a present, but instead of Easter bunnies and little eggs of chocolate, big chocolate eggs are more common here. I've already seen them some weeks ago in the supermarket where there usually hanging from on a big bay. 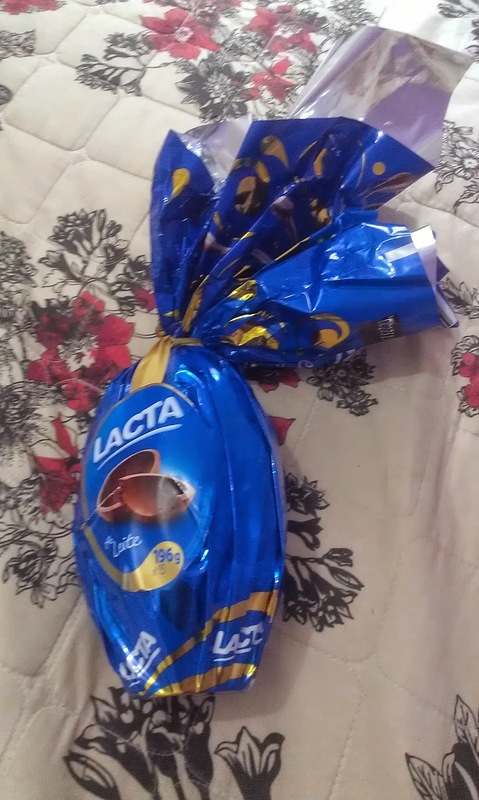 I got one of these Easter eggs from my family too and I really liked it. 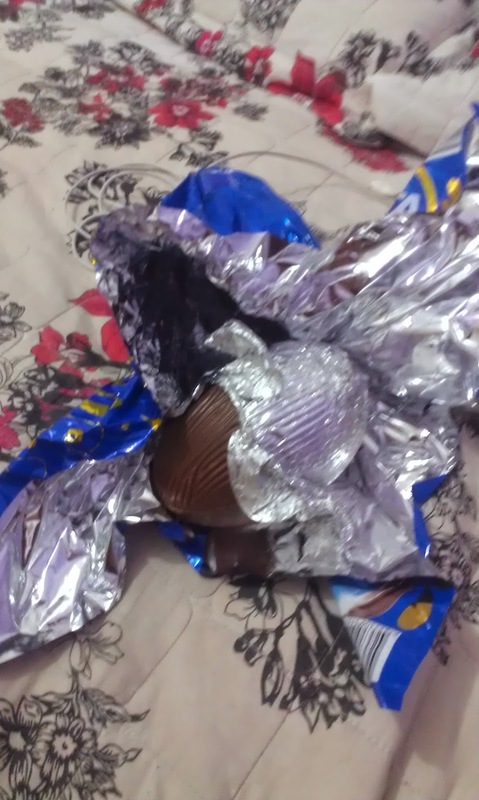 It's wrapped beautiful and when you open it, you find a big chocolate egg there made of two halves which you can break and then you can find even more sweets inside. I love that idea and I would like to have them in Germany too. Three weeks ago I stayed in Belo Horizonte for one weekend for the third time. We had our second and last AFS orientation there. An Italian exchange student from my city and I took the bus at 11am on Friday morning and arrived in BH after only 4 1/2 hours (which is really fast!). At the bus station there we met all the other exchange students from Minas Gerais and it was so nice to see them all again after about six months. Friday we ate Pizza at the same restaurant as the last time and later went to a little bar just to talk a little more. Saturday we had some activities to reflex our exchange in the morning and then we had lunch at a kilo restaurant which was very delicious. In the afternoon we had some more activities about our return to our country of origin and then some free time. Later we all cooked food from our home countries for dinner. 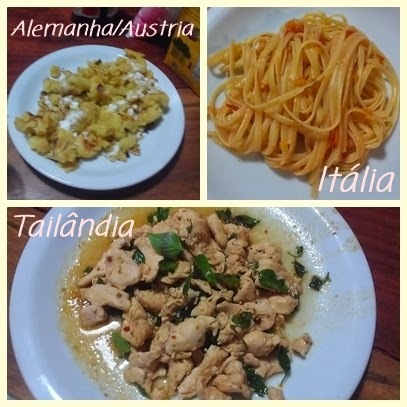 The Italians cooked Pasta with tomato sauce for us (of course :D), one girl from Thailand mad hot chicken and the other Germans and I tried to make "Kaiserschmarrn" (something familiar like pancake) which ended up to be better than we all expected. So we had a very international dinner this evening. Our last evening together we spend talking and later I and some of the other exchange students ended up sitting on the couch wrapped in warm blankets (it was soooo cold!!) and watching the third part of Harry Potter. So I didn't get much hours of sleep that night again. Sunday morning we had two last exercises to do and then we've already had to leave to go to the bus station again. We had lunch there at a kilo restaurant again, but soon we had to say goodbye to the first ones. Of course I'll see (nearly) all the Germans in a little more than 30 days again (way to soon!) when we fly back to our home country, but I don't know if or rather when I'll met for example the Thai girl or the boy from Texas again. This thought made me feel really sad and I nearly started crying when I was on the way back to Varginha (alone this time). The whole journey I couldn't stop thinking about this, the farewells that will come too soon and other thought about my exchange. When I arrived in Varginha in the evening I had to wait for about 45 minutes at the bus station and I really hated it. I think that's one of the few places I don't feel save, especially at night, in my city. I was happy to be home again and went to bed fast, because I had 12 lessons of school on Monday. That's all I have to tell you this time. This weekend I'm going to visit a university in Campinas and later we will go to the biggest shopping center of Latin America. I'm already looking forward to it and so I think the next post will be about this (besides something special happens before). "The greatest happiness on earth is sitting in the saddle of a horse"
I've learned to love Brasil and appreciate Germany. P.S: Before I arrived here in Brasil, I thought it was a warm country. I changed my mind: Brasil is soooo cold!!! I'm freezing the whole time at the moment. 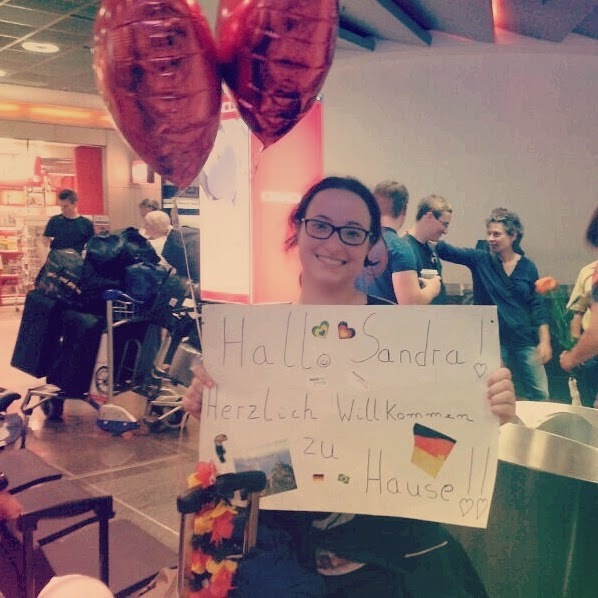 My name is Sandra and I'm from Germany. I left my home in august 2013 to spend one year abroad in Brasil. On this blog you can follow my experiences. All pictures on my blog which have a "no-b-ra-sil.blogspot.de" water mark are mine. Please don't steal, copy (only if you have my permission) or sell them. The other pictures, which are inserted into my blog, are not mine. They are from other sources from the interent and I don't impose any rights on them. They don't belong to me, I just show them here. If I use pictures on my blog, which I'm not allowed to use, please write me an email to the adress above and I delete them instantly from my blog. all photos with water mark "no-b-ra-sil.blogspot.de by me. Simple theme. Powered by Blogger.